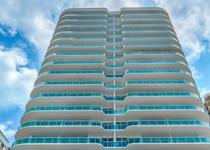 The Palace is a 21-story direct oceanfront building with 102 units which range from 1690 - 3690 sq. 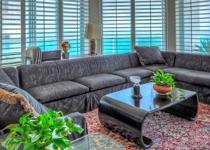 ft., this condominium was completed in 1994 in the city of Bal Harbour. 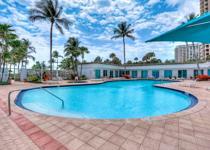 Amenities include pool, fitness center, SPA, restaurant and direct access to the beach. The Palace at Bal Harbour condominium has an ideal location at 10101 Collins Avenue right on the shores of sparkling Bal Harbour Beach, providing residents with immediate beach access and incredible ocean views; the building is also one block from famous Bal Harbour shops and conveniently close to numerous other stores, fine dining, cultural activities, the Indian Creek Golf Course, marinas and international airports. The Village of Bal Harbour, FL is bordered on the North by Sunny Isles and on the South by Surfside and Miami Beach. 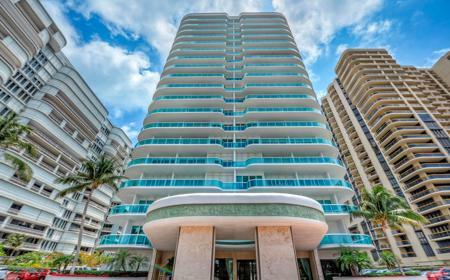 Palace at Bal Harbour condominium features 102 luxurious units with tile and marble floors, as well as spacious floor plans and high ceilings. The resulting atmosphere is open and airy, giving you tremendous relaxation. 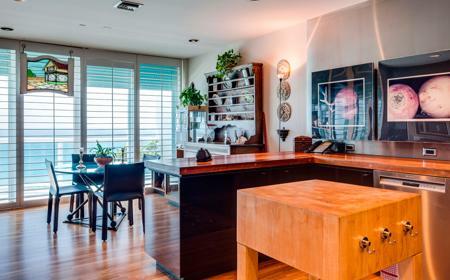 Granite countertops in the kitchens, with designer cabinets, deep dual sinks, state of the art appliances and recessed lighting allow you to enjoy the finest gourmet kitchens in town. Bathrooms feature Roman tubs, with designer cabinets, granite and marble countertops, as well as many other luxury additions.